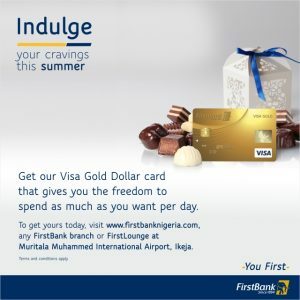 This summer promises to be an exciting one for holiday makers with FirstBank’s bouquet of Dollar denominated cards. 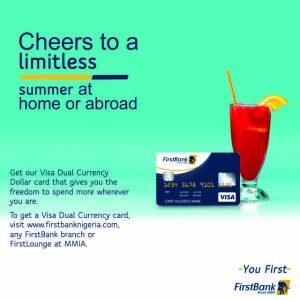 Convenience, security, flexibility and improved spend are the key defining features of these Dollar cards. 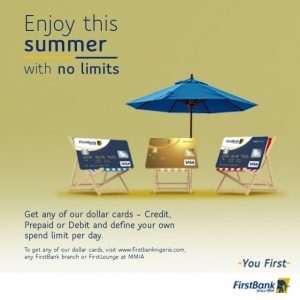 To delight customers, wherever they travel this summer, FirstBank offers three Dollar card products namely – Visa Gold, Visa Dollar Prepaid, and Visa Dual Currency Card.